3Dom Factor starts with a big slide down a bass string, a couple clashes of percussion, and then the sax kicks in with an infectiously upbeat theme. The strong syncopations and vivacious melody are the work of free jazz drum legend Barry Altschul on his first outing as a leader in a long while. The song, 'The 3Dom Factor' quickly leaves the composed head behind and ventures outwards. The melody is never lost though as snippets re-emerge and the pulse stays strong and engaging, showcasing the musicianship involved. Saxophonist Jon Irabagon, whose own 2010 recording with Altschul, Foxy, was a highlight of the year, lends his considerable talent here too, as does the excellent bassist Joe Fonda. While the first two songs are upbeat, 'Irina', previously recorded in 1983 with John Surman and Enrico Rava on an album of the same name, is given a forlorn treatment, its melody melancholic and rhythm understated. The percussionist's statements and accents are as important as Irabagon's melodies and Fonda's solo is melodic and stately. I'm not a fan of the occasional accents from the small percussion handhelds and chimes in some of the tunes, but that is really a minor quibble. Altschul's playing is direct, driving and sets a new expectation of how percussionist can interact with the players mediating between pulse, melody and texture. I cannot get the driving tempo and short but effective drum solo in Carla Bley's 'Ictus' out of my head. Altschul's CV is replete with seminal groups, from his work with Circle in the early 1970s to his association with Sam Rivers and Dave Holland over the course of many years (the recently released Reunion: Live in New York stands as recent testimony to that group's importance) to his own albums as leader. 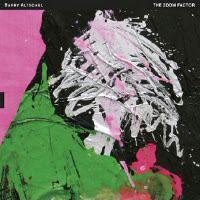 After a self described slow down in activity (See Harris Eisentstad's interview in Destination Out) it seems that Altschul is quite active again, and 3Dom Factor is a joyful statement and a nice entry in his discography. I saw this group in concert: they were dreadful. Altschul, whom I've always held in high regard, seemed intent on channeling Buddy Rich. His playing was garrulous and overbearing. Fonda's playing was trivial. Finally Irabagon seemed lost and timid. When you leave a concert with lesser regard for the musicians than when you entered, you know it was a bad show.